Last night in Bonn, Germany, the sirens went off. I heard them at 01:12 and wondered what the hell was going on. I turned to Twitter and found out within minutes that the alarm was for the fire service only (rarely if ever used now. It was part of a wake-up system.) and then that the whole thing had been a mistake. This morning I started thinking about those essentials you might need if something really happens. Food, water, family…and some comm’s equipment. FM radio tops the list. 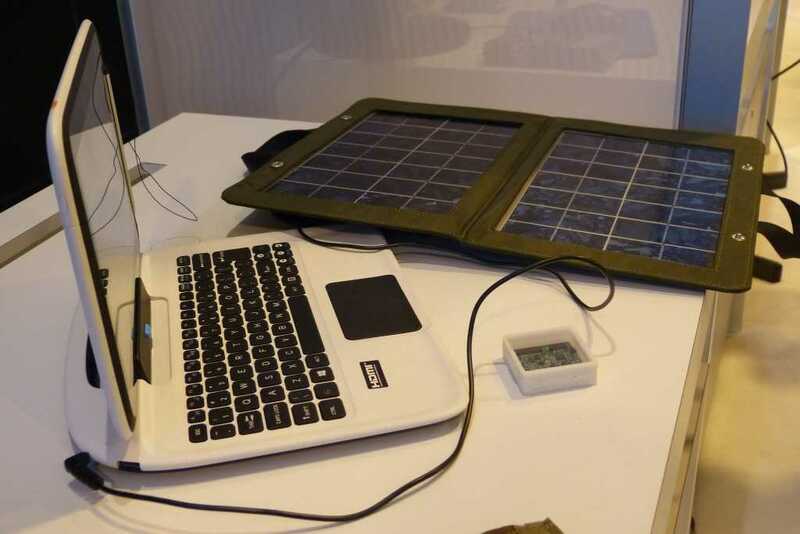 A rugged and long-battery-life laptop is in the list along with an efficient smartphone. I also thought about solar power kit and couldn’t quite remember where I had put everything. My small Changers panel is to hand but my large panel with regulator and adaptors was tucked away in various locations in the house. If only you could integrate and consolidate this equipment. 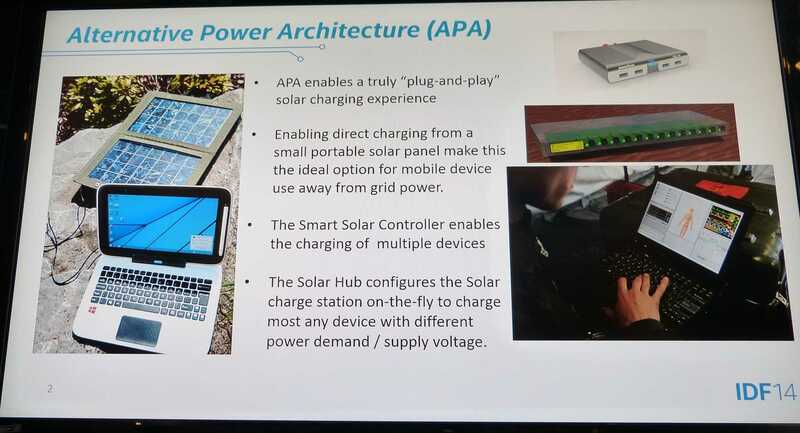 An exiting surprise as I was talking to Intel about this at IDF early in September was the discovery of a 35% efficient portable solar panel with a 20 Watt output. This is a huge leap forward in technology and although it’s only available in demo form right now it’s coming to market soon. AllI could find out was that it’s made by an American company. Solar Junction and Alta Devices are likely candidates. 20 W solar panel with 35% efficiency. Using a 20W panel like this would give you a theoretical 100-120 Wh of energy per sunny central European day. With the latest efficient 11.6 laptops you can work online at an average 5W so you can work out the maths. I estimate the whole solution to weigh 1.5KG. 35% efficiency solar panels, integrated regulators and super efficient laptops are bringing the cost and availability down quickly. 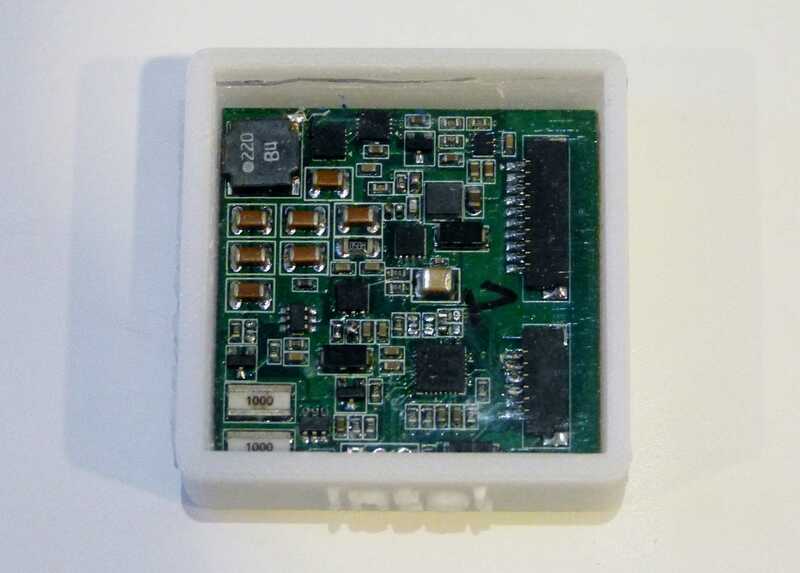 I’ll see if I can get hold of one of these kits to test out at some point next year. Can’t wait to see this in final products. Will it only be targeted towards developing countries without a stable power-grid? 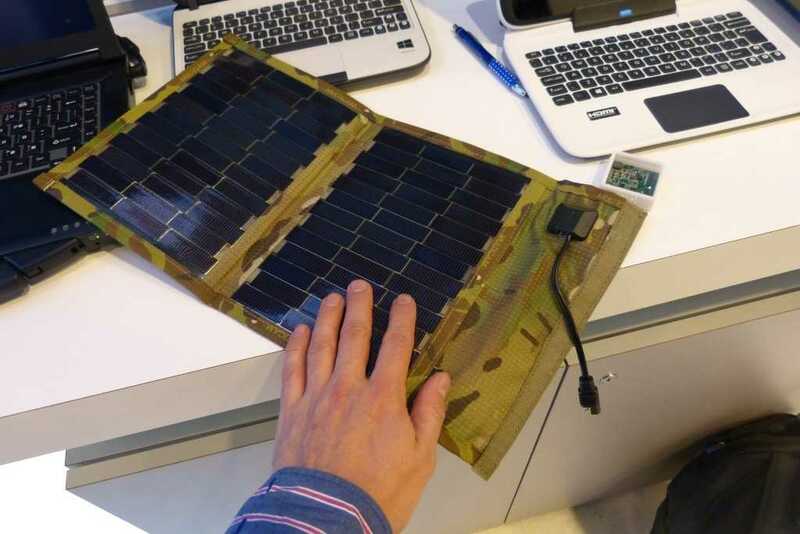 It’d be nice to see this new solar panel integrated into a tablet cover/sleeve for Diamond Creek equipped tablets.